The Reggio Emilia approach was developed to give children greater freedom to build their languages and personalities during their early years by giving them respect, responsibility, and community with adults and other children. By allowing them to follow their interests and express their personalities with teachers who facilitate and encourage them and each other, students of the Reggio approach emerge with a sense of intellectual curiosity, and an ability to collaborate with the world around them. Parents are seen as the first teachers, and are vital to the Reggio approach. They are considered partners and advocates for their children, and they are also seen as collaborators who facilitate their child's learning through experiences outside of the classroom. This kind of involvement helps the child transition from their Reggio preschool environment to most traditional learning environments. The school itself involves parents in policy-making decisions, discussions about the child's learning and development, and curriculum planning. The teacher is not simply an instructor in the Reggio approach: the teacher is a facilitator of learning working with the children. 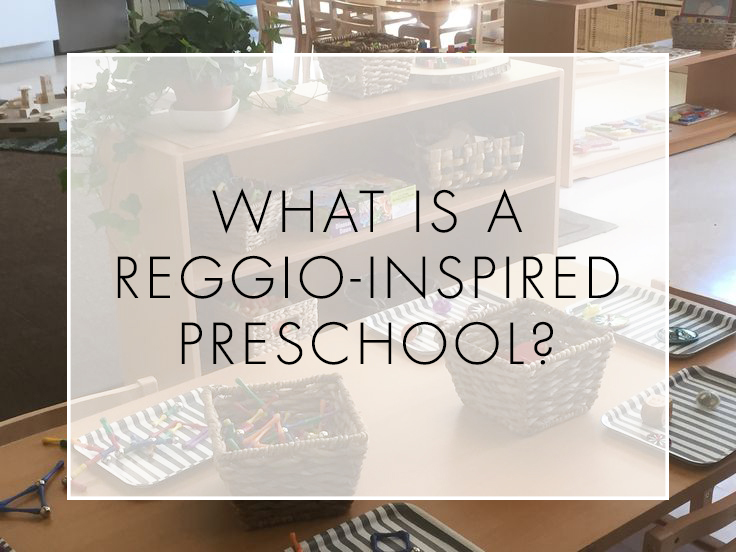 Teachers in the Reggio approach encourage children to explore their interests by planning experiences around them, asking questions to deepen a child's understanding, and engage with the child in the practice of learning. The environment is a key factor in a Reggio-inspired school, and is often considered the "third teacher." The environment should provide openness and freedom of movement. It should provide a connection with nature via natural lighting, materials, plants and other living things. The availability of real learning tools and supplies support children becoming competent and developing practical life skills as they explore and discover. Teachers work carefully to document and present children's explorations and learning, allowing children, parents, and teachers to observe the child's understanding and thinking. This visual approach is a satisfying way to inform parents of what their child's learning experience is. Additionally, this helps teachers determine and refine curriculum, keeping them from outpacing or under-pacing children.